Come and join us for a our Hawaii Gem and Mineral Show in Honolulu with minerals, mineral jewelry and gemstones for sale to the public. You can enter the Ohana Hale Marketplace from the makai side of the building (Starbucks side), or the main entrance next to Ross. Make your way to the middle of the space (near the main stage) and you will find almost two dozen mineral vendors during our weekend show. 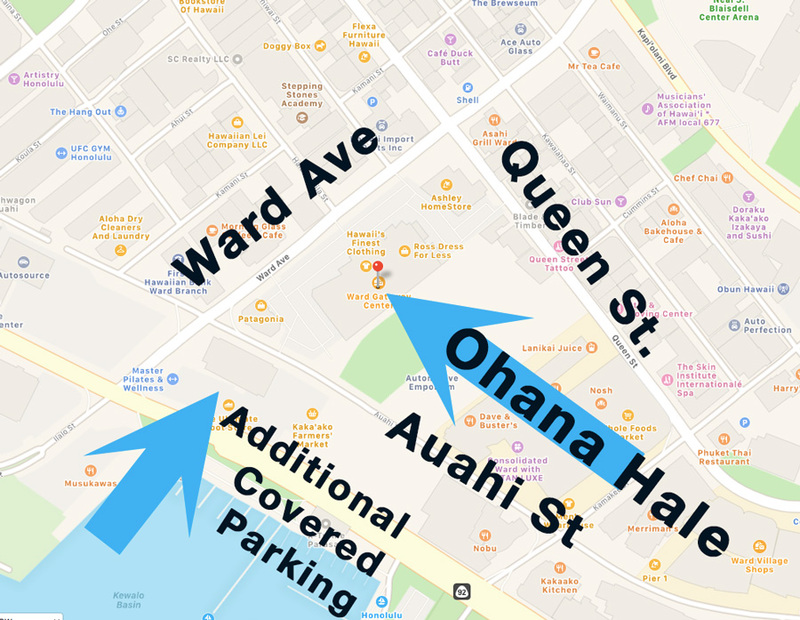 Plenty of free parking all around the building and in the covered parking structure of the former Ward Warehouse makai of Starbucks, a short walk away. Come and see our great array of beautiful minerals and gem stones from over 20 vendors. Here are some examples of gems and minerals you may find: (there are too many to list them all) Alexandrite, Amethyst, Agate, Aquamarine, and Jasper, Diamond, Fossils, Garnet, Iolite, Jadeite Jade and Nephrite Jade, Meteorite, Opal, Pearls, Peridot, Quartz Crystals, Ruby, Sapphire, Shark teeth, Tanzanite, Topaz, Tourmaline, Tsavorite Garnet, Turquoise, Zirkon and many more. All vendors are members of the Hawaii Rock and Mineral Society and this show is organized by and for its members. Other planned events during our show: Gem Identification by local experts. Gem and mineral displays. Rare display of Hawaiian Minerals: Quartz, Calcite, Opal, and Agate found here in our islands.